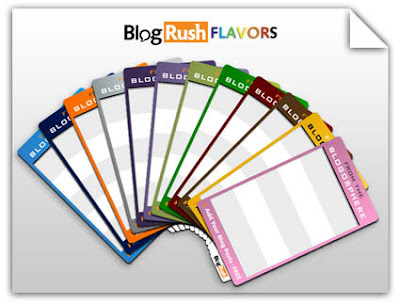 Blog Rush will soon introduce flavors on their widget. You are now experiencing minimalism at its finest. Curtail Child Theme combines modern design and an urban atmosphere to create a sophisticated web browsing experience. On top of rock solid coding and powerful theme options, Curtail comes stocked with Nivo Slider Pro. Dollar for dollar, Curtail gives you the best value for your money – period. EVERY SINGLE IMPRESSION GETS REWARDED FOR *THAT* IMPRESSION AS IT HAPPENS. There is no “promise” of future rewards based on referral activity today. Each and every impression of the widget (and impression of the 5 headlines per widget) is rewarded AS IT HAPPENS. And when all the math is said and done, it also leaves 1 out of every 10 headline spaces left-over for BlogRush to use to monetize the service. So apparently some people think it’s all based on false promises that the network will eventually “catch up” and pay rewards in the future. This just isn’t the case. Every single impression that occurs is calculated and rewarded to the generations ‘above’ — that’s how the math has to work. We’re working hard to move to the 100% Manual Review Process as quickly as possible, and other improvements. As I’ve now said many times, our SOLE FOCUS is helping our members generate quality, targeted traffic. So we’re hard at work to make that happen. Blog Rush - More Exposure Equals More Traffic! Fechr.com - Broken Promises and Failed Expectations! Beware of Quechup. It's One Hell of a Spammer! Traffic Rush From blogrush.com - Join NOW! Blog Rush is the newest way to increase your traffic. It’s from John Reese, a renowned and successful internet marketer. Creating a Blog Rush account is free. And installation of the Blog Rush widget is easy. It will take you less than five minutes to do all the simple and easy steps. Join Blog Rush Now and find out for your self. Clip Cart Child Theme is a stylish, modern e-Commerce child theme for Genesis. With built in support for the Cart66 WordPress plugin - you can create a powerful, full featured e-Commerce site in record time. We build finely tuned child themes that unleash the full power of the Genesis Framework. Our mission is to provide great design and support for our entire line up of Genesis child themes. Blog Rush – More Exposure Equals More Traffic! How To Protect Your Blogger Blog From Hackers? For the micro-blogger, speed is everything. You want to keep screen alive with new color, text, and image. Near-constant movement. The Blingless child theme gets out of your way, so you can get on with what's next. intervals automatically, say one per day. Two to three private label rights products in the same niche can thus feed enough content to your blog for a year- A great automated internet marketing strategy to make money by bring free search engine targeted traffic! 02] Join some good affiliate programs in the same category as that of your private label rights products. Insert your affiliate links into these plr products and give master resale rights to them so that your customers can resell them and make money, but can't change your affiliate links. Increase the viral internet marketing effect by giving give away rights and re brand rights to some of the links in the content. 03] In order to make money from private label rights products quickly, you can just change the graphics, rename, and make sufficient changes on the sales page to make it appear different; as though a new private label rights product being launched. Submit them to affiliate networks and marketing networks and enjoy the targeted traffic coming from the 'new products category'. Some of the private label rights products available in the internet marketing category and niches are actually this sort of second generation products. finished in a few hours, with a good graphic creator software available in the market. 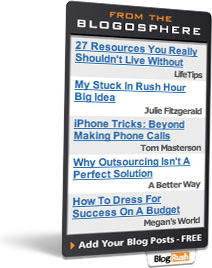 republish your article in their ezines or websites with their affiliate links to your products. If done correctly, it can be a brilliant internet marketing strategy to recruit affiliates. 06] Use these articles to add more content to your website to make more money from Adsense. More content will bring more free targeted traffic from search engines, and hence more income. 07] Private label rights products are the quickest way to make money from internet. How? Just stick your name as the author and sell them as your own products, as though you have created them. The time factor predominantly determines your success rate in selling private label rights products. The faster you buy a private label rights product and set up a site to sell it, by implementing a good internet marketing strategy to bring targeted traffic, higher the chances you have to make money. Permission Granted To Republish This Article With Your Clickbank Affiliate Link To www.resalewin.com Special Offer 2007 Best Selling Software And eBooks Product collection.Private label rights and master resale rights to Duplicate-To-Unique Content Creators, Autoresponders, Adtrackers, Keyword Tools, Content Website Creators, Graphic Creators, Sales Letter Creators, Unblockable Pop Ups, Article Submitters, Adsense Sites, Viral eBooks, Link Cloakers, Rss, Blog link Creators, etc with private label rights and master resale rights. Fechr.com – Broken Promises and Failed Expectations! Before you begin your search for a web host you should first determine whether you need shared web hosting or dedicated web hosting. Whether your content is simple or extravagant, the Fashionista child theme will make it look like a winner. With the use of elegant textures with smashing color schemes, your work will be showcased to the world in style. A shared web hosting account is an account on a web server that hosts other shared accounts. The number of accounts on one shared server can vary widely; some servers host a few hundred, while others have thousands of sites hosted on one server. Hosting your website on a shared server is a workable solution for many small businesses, as shared hosting accounts are priced much lower than dedicated servers. Shared web hosting accounts have limited access to the core administrative functions of the server. Most web hosting companies offer comprehensive technical support for users of shared hosting plans. Complete technical support is usually included in the price of your account plan. A dedicated server is usually dedicated to one, or just a few websites, usually for the sole use by one company. The cost of a dedicated server is higher than that of a shared hosting account. With a dedicated server, you have access to the core administrative functions of the server. With most dedicated server plans offered by hosting companies, you're pretty much on your own where technical support is concerned. If you don't have an IT staff or a server administrator to provide support, you may want to find a person to help you manage your dedicated server. Many hosting companies that offer dedicated server plans also offer "per issue" support, meaning that you'll pay a certain amount, usually an hourly fee, for technical support issues. Some dedicated server plans have optional "support tickets" that you can purchase in advance. Another option is what's called a "managed dedicated" hosting plan. With a managed dedicated plan, you get a dedicated server and the hosting company also provides comprehensive support like you usually find in a shared hosting plan. This is a good alternative for companies that don't have an IT staff or a server administrator and don't want to get involved at all in the technical aspects of running a server. The price for a managed dedicated server is usually higher than for an unmanaged dedicated server plan as you're getting technical support included. Whatever type of web hosting plan you choose, make sure that the plan you've chosen fits your needs. Russ Mate is President of MateMedia, Inc.
How to Remove the 'NOFOLLOW' Attribute on Your Comment? Go ahead, stand out from the crowd and let your originality move you to the front of the line. The bold, sleek styling and colorful, contemporary design of the Modern Blogger child theme makes remarkable blogging in a crowded world a snap. If you click on the "Business Solutions" link on Google's homepage, you'll find information about the various revenue generating programs, advertising opportunities and productivity tools that Google offers to the general public. You will also find two separate text links to Google's Local Business Center displayed under the headings "Get listed on Google Maps" and "Put your information on Google". And although Google's Local Business Center isn't billed as an online yellow pages directory, that's exactly what it is. Google now allows local business owners to add their business name, address, phone number, email address, website URL and business description to its business database. This information is then displayed, at no charge, on Google Maps, and more recently, Google's web search results. As you may or may not have noticed, when you enter a business name, city and state into Google's web search form, the first thing displayed on the results page is a map with business listings from Google's database and links to more information. If you enter a keyword, along with a city and state, the first thing that appears in the results is a link entitled, "Local business results". This free service could spell big trouble for competitors in the online yellow pages industry. Google's Local Business Center offers all of the business information that conventional Internet yellow pages sites do, and then some. In addition to business descriptions, hours of operation, online coupons, photos, maps, driving directions, and even business reviews, Google offers Internet users something that other online yellow pages can't – the convenience of searching for both yellow pages and web search results from a single form. Add to that, the fact that Google's business data will likely be more complete, more trustworthy and more up-to-date than its competitors because it's published by the business owners themselves, and you've got a recipe for complete dominance of the Internet yellow pages industry. Current industry leaders like YellowPages.com, SuperPages and Switchboard will have to adapt quickly to their new competitor, or we may soon be closing the book on their online yellow pages directories. Erik M. Cunningham is an author, researcher and the founder of the YPdx Yellow Pages ( http://www.ypdx.com ) and has been working in the online yellow pages industry since 2002. Free Directories - Submit Your Blog Now! Utmost impact. Lavish readability. Maximum… awesome. The Maximum child theme delivers - in the biggest way - whether you're building your company, or creating your personal brand. In this complex story that aspires to mythology, a computer hacker searches for the truth behind the mysterious force known as the Matrix. He finds his answer with a group of strangers led by the charismatic Morpheus. What they encounter in confronting that truth makes for a lightning-paced, eye-popping thrill ride of a movie that cleverly combines sociopolitical commentary with cutting-edge special effects. In this Star Wars prequel, Qui-Gon Jinn and a young Obi-Wan Kenobi must protect the Queen of Naboo from the evil clutches of Darth Sidious and Senator Palpatine. Along the way, they meet Anakin Skywalker, who shows the beginnings of a great gift. Heartwarming story of the special bond 10-year-old Elliot forges with an alien he names E.T. The adventures they share as Elliot tries to hide his new friend, as E.T. tries to get back to his planet. A group of shut-ins at a rest home get a new lease on life when they're offered the gift of eternal youth by visiting aliens. A charter boat captain who helps fellow seniors make the choice between perennial youth or old age. From the idyllic shire of the Hobbits to the smoking chasms of Mordor, Lord of the Rings is full of action. Frodo Baggins embarks on his epic quest for the one true ring. This sci-fi comedy features J and K, agents in a top secret, above-the-government agency monitoring alien activity on Earth. Before rookie agent J even breaks in his stylish black suit, the team is called to save a galaxy from a bad-tempered alien "bug" and save Earth from total annihilation. Harry has lived under the stairs at his aunt and uncle's house his whole life. But on his 11th birthday, he learns he's a powerful wizard -- with a place waiting for him at the Hogwarts School of Witchcraft and Wizardry. There, he uncovers the truth about his parents' deaths ... and about the villain who's to blame. Thanks to an untimely demise, a young couple ends up as poltergeists in their New England farmhouse, where they fail to meet the challenge of scaring away the insufferable new owners. In desperation, the undead newlyweds turn to an expert frightmeister named Beetlejuice -- who has a diabolical agenda behind his scheme to help them. Young rock guitarist Eric Draven and his fiancée are brutally killed by a ruthless gang of criminals. Exactly one year after his death, Eric returns -- watched over by a hypnotic crow -- to seek revenge. King Arthur's Camelot with a feminist slant. Avalon high priestess Viviane and sisters Morgaine and Morgause battle for control of the kingdom. Viviane manipulates her own sister into marrying a king in order to produce an amenable heir, but deceit, magic and human fallibility threaten to destroy both the plan and Avalon itself. When Roy Neary encounters a UFO, he's left with a sunburned face, a skeptical family and a shaken psyche. Soon, Roy begins seeking out others who've had similar "visions." Among those he finds are Jillian , a woman who's lost her son to the aliens, and Claude, a researcher preparing for Earth's first contact with extraterrestrials. Life is very pleasant for the close-knit Freeling family until a host of otherworldy forces invades their peaceful suburban home. Before long, their house is transformed into a swirling supernatural sideshow -- all centered around their angelic young daughter, Carol Anne. When a satellite crashes in New Mexico, the Air Force sends two men to retrieve it. To their horror, they discover that the probe carries an alien virus that's already killed all but two of the residents of the town where it landed. Now, scientists must isolate the virus and stop it from spreading. In the year 2035, convict James Cole reluctantly volunteers to be sent back in time by scientists to 1996 to discover the origin of a virus that wiped out nearly all of the earth's population. When Cole is mistakenly sent to 1990, he's arrested and locked up in a mental hospital, where he meets a psychiatrist and the son of a famous virus expert. Francesca Black is a fan of science fiction. She is a freelance writer and writes articles for Science Fiction Corner http://www.science-fiction-corner.com and UFO Gifts http://www.ufo-gifts.com. A good legacy is invaluable. It needs no hype and will never be forgotten. It is timeless, classic and strong. The Legacy child theme embodies all of this, and is waiting to help you create yours. Act now to make your site something special. Six months ago, as our first job experience after graduating from college, my best friend and I started an online music store. That made us immediately stand out from the crowd. We haven't started advertising yet, online or elsewhere. We had no prior business experience, programming knowledge, or any idea of how the music industry works. We've made almost every mistake possible. And success has never seemed so easy. Why? We merely applied the essential business principle which seems to be lacking in both the music and Internet communities, and that made us immediately stand out from the crowd. Having a brand-new business pay both its bills and ours from the very first week was rewarding, but the qualitative benefits are much greater. One of our customers keeps buying records from us (over $150 worth so far) even though she still doesn't have a record player. Bands we don't release ask if they can put our name and logo on their new CDs. A customer of our monthly music subscription service spontaneously started sending us copies of rare music from his collection each month. Every day our inbox is filled with messages which tell us that MeteorCity (our company) is the greatest thing since air travel. Each week a different customer calls or writes us asking if we would like to stay at his or her home. Our customers asked us to release a CD, and now that it's one week from coming out we continuous get calls from magazines and stores telling us that our customers want them to review and carry it. And, as you can imagine from all this, over sixty percent of our customers order from us again--at least once a month. How did this happen? It's so simple it's amazing. Customer service. We try to respond to each customer individually, and when we get too many orders to do that, we still let them know that they're important--such as by dropping e-mails to let them know that we will answer their questions as soon as possible. We learned how to program, coordinate with distributors, and produce CDs on our own as we went along; but customer service we wielded as our most essential tool from day one. I wish this was as obvious as it sounds. If it was, our jobs would be much easier. But treating customers well is definitely not a universal maxim these days. I have experienced this on the Internet by ordering from our competitors; almost invariably, they ignore our questions, botch our orders and fail to follow our requests. In the music industry, it's even worse. Stores, labels and distributors seem to try to make it as hard to order from them as possible. In some cases we've simply abandoned going through the official outlets and bought CDs from well-known bands directly through their managers. In other cases, we have to pay large fees for money orders to enable us to purchase sought-after imports. Not surprisingly, our customers are thrilled when they can later get the same CDs from us by just punching in a credit card number. We deal with the ineptitude of the outside world so our customers don't have to. Perhaps the most amazing thing we've learned, fresh out of college and with no training in any of the areas we're succeeding in, is that the executives we talk to over the phone don't know what they're doing, either. The only difference is that we're more polite. Our online business has a long ways to go. We have a lot more ideas than money to pay for them all. But tonight, having just received a letter from a girl who was out drinking with friends and then went home to write a long letter to her favorite music store, I'm completely confident that our customers will stick by us and tell their friends about us as we continue to learn. The Internet connects everyone who's on it, and makes them all equals. We've heard this a thousand times, because this phrase has become part of our pop culture. So why do so many businesses persist on designing their pages and treating their customers as if the customers are merely inessential observers in the whole online experience? The Web is interactive. If you keep this in mind, and interact with your customers in a helpful and friendly way, your small business on the Internet can easily surpass the larger organizations which still haven't grasped this essential Internet principle. Problem With Static Technorati Blog Ranking and Authority? Somehow, it's old and new. The best vintage child theme pieces point back in history, and look forward, defining the future. Wrap your photos, your words, and your audio in the feel of another time. An unforgettable times. Judy Cullins © 2004 All Rights Reserved. Judy Cullins, 20-year book and Internet Marketing Coach works with small business people who want to make a difference in people's lives, build their credibility and clients, and make a consistent life-long income. Author of 10 eBooks including "Write your eBook Fast," "How to Market your Business on the Internet," and "Create your Web Site With Marketing Pizzazz," she offers free help through her 2 monthly ezines, The Book Coach Says...and Business Tip of the Month at http://www.bookcoaching.com/opt-in.shtml and over 140 free articles. Email her at mailto:Judy@bookcoaching.com or call 619/466-0622. After you have discovered who your niche market is, you need to examine them to find out what products or services they are looking for. It's best to discover people's wants and then provide it, instead of creating a product and then trying to locate a market. Want to capture those very precious moments in time without losing the meaning of them? The gorgeous layout and color palettes of the Pure Elegance child theme will keep those pristine memories and showcase them for the world to see. Visit some chat rooms where people from your niche market are likely to hang out. Sign up for some email lists they are likely to get. Analyze any information you find and try to locate a common problem that niche market has. Once you discover a common problem, develop a solution. This is the easiest way to find an obvious void in the marketplace and fill it. This will help ensure you have an eager market for your service or product. Remember, people are not online for a hard sell, but rather they are looking for information, things that will make their lives easier and for solutions to their problems. They will keep returning to you, if you solve their problem by giving them the exact solutions they need. Remember, when you have a home business or any business, do not sell them, help them! When you create a solution to a common problem shared by a niche market, you make your online business a valuable resource. This is the way to position the product or service you plan to sell online when you are ready to become an home business entrepreneur! You will never earn a single penny with you home business unless you convince your prospects that they need your service or product and can afford it no matter how great a product or service you have. You must put the focus on how your service or product will BENEFIT the customer. They need to know how it will solve their problems and make their lives easier. Do this and you online business will prosper. The features of whatever you are selling have to be turned into compelling benefits. I learned this back in the 1980's from a guy named Wade Cook who wrote How To Build A Real Estate Money Machine. He would buy houses on contract and turn around and sell them on contract thereby generating a nice monthly income. But when selling his houses, he always strived to sell the benefits like, it's close to the school or near shopping areas, etc. You MUST do the same with your product or service. Put simply, a feature is a simple fact about your product, but a benefit explains what advantages your customers will actually derive from using the product. You have to paint a picture for them. Benefits are not "quality and service" or "cheapest". They are answers to "why should I keep reading?" or "what's in it for me?" or "why should I order?" Every feature of your product offers at least a couple of benefits. You must figure out what they are. If you cannot come up with any, the talk to some of your customers or potential customers. Ask what they like about your product and how has it benefited them. Larry Potter is a recognized authority on the subject of starting a home business with little or no cash. His website, http://advancedinternetwealth.50webs.com/index.html6.htm provides a wealth of informative articles and free resources on everything you'll ever need to know about a home business. Blogsrecord.com - Submit your blog and join the contest!